The shotgun is the first of the stronger weapons that you'll come across in Resident Evil 7. In this guide I'll explain how to get your hands on the shotgun by first finding the Scorpion Key and also getting hold of the broken shotgun. By this stage in the game you'll have entered the main hall and have noticed the shotgun room on your right. 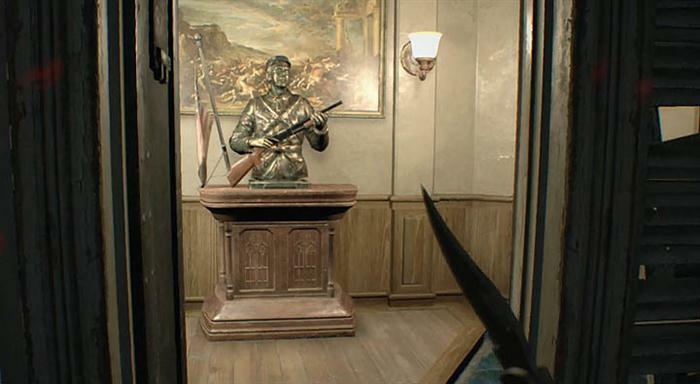 There is a statue holding the shotgun, which when removed will automatically close the door behind you, blocking your entrance and preventing you from continuing. 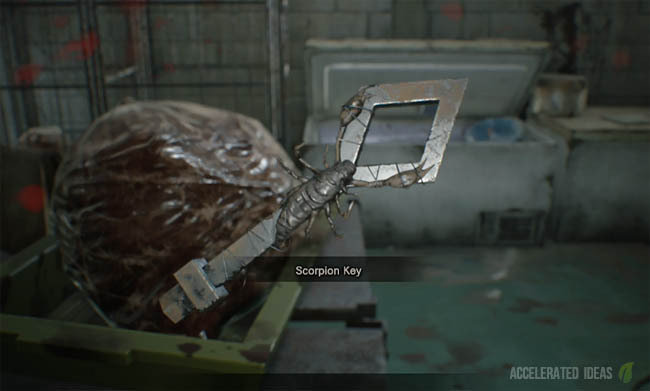 The scorpion key, like the snake key, is one of the collectible items in RE7 that opens several of the locked doors in the main house. You may have seen these doors which have scorpions and chains on the front of them? To open these doors you must find the Scorpion Key which is located inside the Processing Area. See the map image above that highlights the exact location with a yellow circle. There's nothing complicated in getting there so long as you have solved the projector room puzzle first. 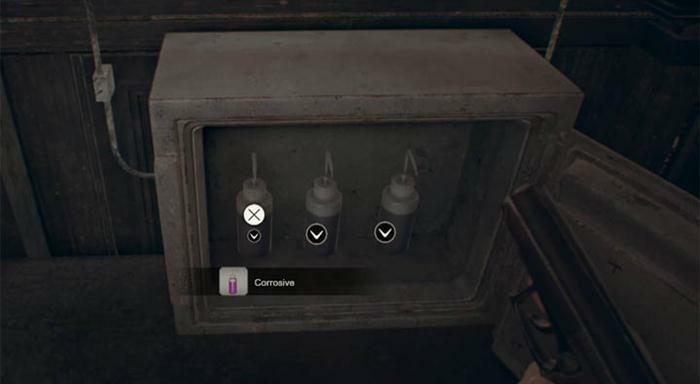 To solve the shotgun puzzle you must swap the shotgun for a similar item, of equal weight and size to trick the door into staying open. How about a broken shotgun? 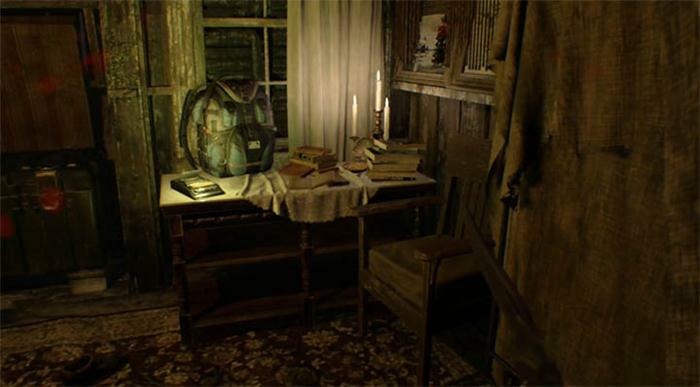 The broken shotgun is located in Grandma's room which is one of several rooms with a Scorpion lock on the front. Follow the map image below to find Grandma's room which is upstairs from the main hall and accessible from the door inside the Recreation Room. The broken shotgun is in plain sight on a chest of drawers. Now that you have the broken shotgun you can complete the puzzle so head back downstairs and enter the small shotgun room again. Pickup the shotgun, wait for the doors to close and place the broken shotgun in it's place. The doors will re-open again and you now have a more powerful gun that will serve you well for the next section of the game. It's only downside is that it consumes two inventory spaces which are now becoming limited.